Mirroring the rich culture of the Philippines, a wide variety of things to do are also offered at this Bagac, Bataan beach resort. Las Casas Day Tours are not the only attraction it takes pride on as it presents you with all sorts of activities that range from discreet to energetic ones. Explore the many possibilities of making your stay eventful with these worthy additions to your Bataan tour package. 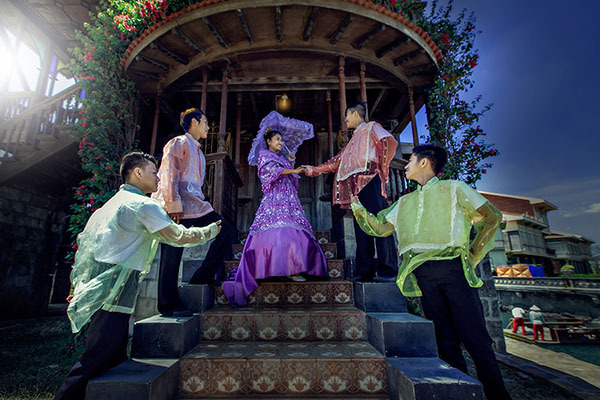 Our array of presentation is sure to provide you a glimpse into the old Filipino life. Witness performances that depict important aspects of our culture and history. Disconnect from the digital world and revisit your childhood with traditional Filipino games at Casa Lubao. You may also visit our music shop at Paseo de Escolta and brush up on those old kundiman songs. Take a dip at our batis-inspired swimming pool, or go on an adrenaline-filled adventure at the beach. Choose from the many water sports options which include jet ski, wakeboarding, banana boat, and a lot more. Immortalize this historical immersion. Schedule a photoshoot with our in-house photography studio, Fotografia dela Escolta. Pose as one of the illustrados using our traditional costumes. Take some time to reflect on life through our Sunday masses. Stay zen and relieve yourself of the stress by having some traditional Filipino massages at the Napiya Spa. 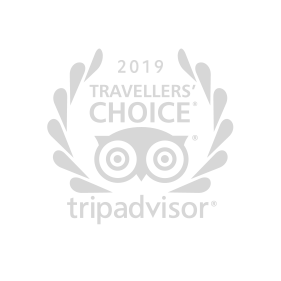 Go around the resort by taking most common public transportation of the modern day Philippines. The jeep picks up passengers in front of Casa Mexico, and drops off at Casa New Manila. Begin and end your Las Casas experience with a comfortable and hassle-free ride to and from the resort. Available for PHP 500 nett per person (2-way), we offer shuttle services which can be arranged through our Reservations Team/Reception. Make transportation during your day tour a lot easier by renting a golf cart at Casa Lubao. That way, you’ll have more time and energy to digest the learnings you’ll get from the tour. Explore different parts of the resort at your own pace. Rent a bicycle at Casa Lubao and savor the time as you digest the beauty, history, and culture within the resort. 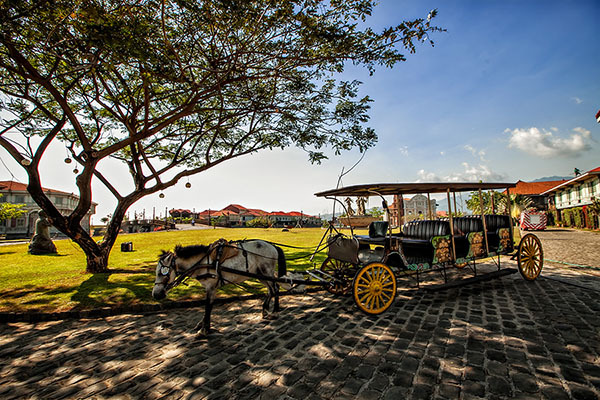 Experience the traditional mode of transportation during the Spanish colonial era. 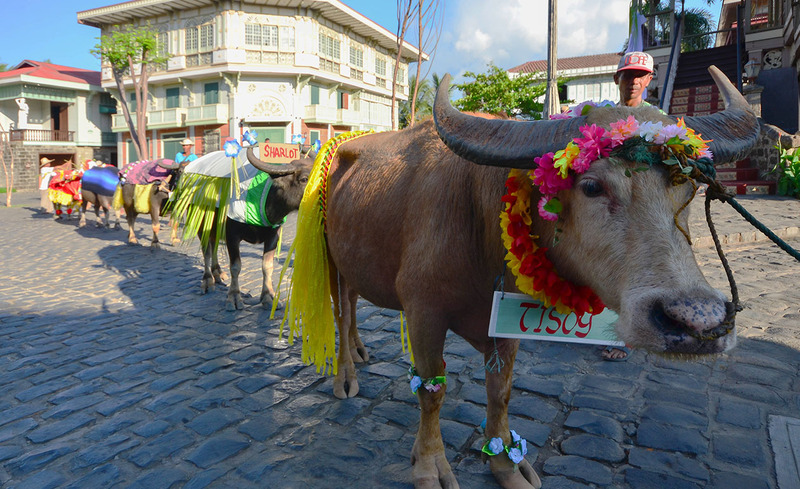 Rent a kalesa and have the complete Las Casas experience as you go around the property. Fancy a cocktail drink? Give the La Casita a shot and take a sip of the sweet and stunning sunset view of the West Philippine Sea. The fusion of Filipino and European culture is not only reflected in Las Casas’ architecture, but also in its food options. Choose from several restaurants and enjoy local and international dishes. 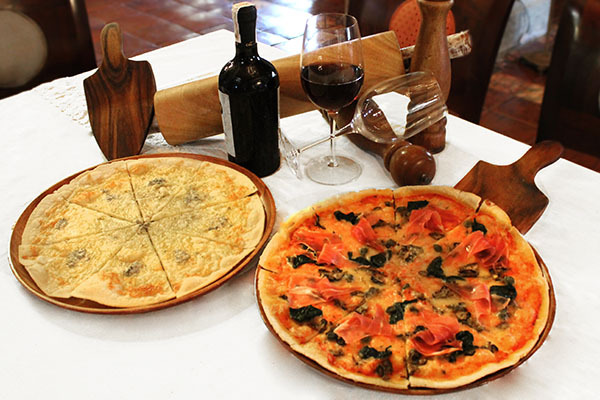 Our dining options include Cafe Marivent, La Bella Teodora, Taberna Luna, Cusina ni Nanay Maria, and La Parilla. Complete the experience by supplementing your Bataan tour package with sumptuous meals from these dining options.